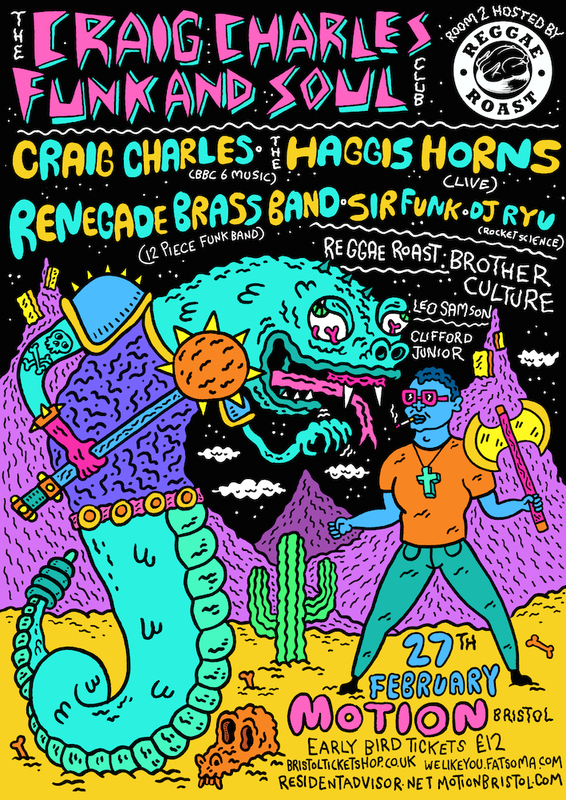 On Friday 27th of February, Craig Charles rolls in to Bristol for the first Funk and Soul Club of 2015! Not content with plumbing the depths of his own record bag for dusty rhythms and rare grooves, Craig will be rocking up to Motion with an all-star crew of live bands and DJs spanning the funk and soul spectrum: explosive 7-piece sensation The Haggis Horns, many-headed partystarters The Renegade Brass Band, Bristol DJ duo The Allergies, Sir Funk and a whole host of others. With super earlybirds starting at just £12, this is not one to be missed!